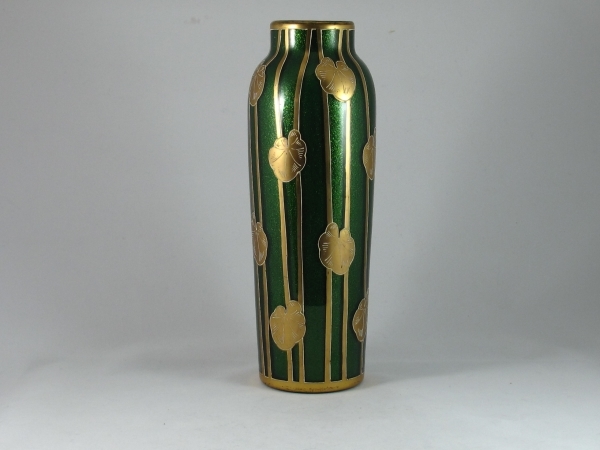 A stunning Art Nouveau Bohemian glass vase made by the Harrach glass Factory. 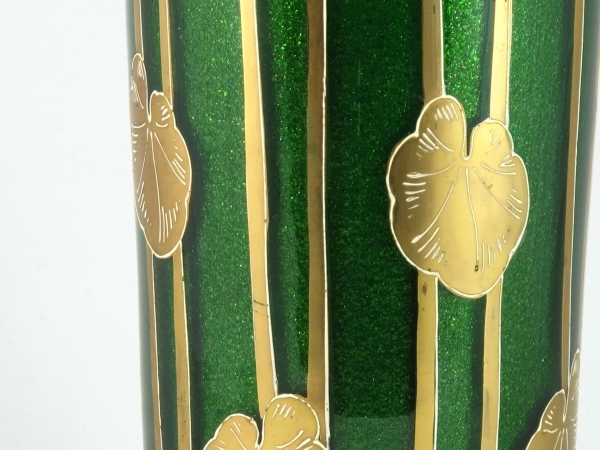 The green aventurine glass is enhanced by a design of leaves and stems in gold enamel. 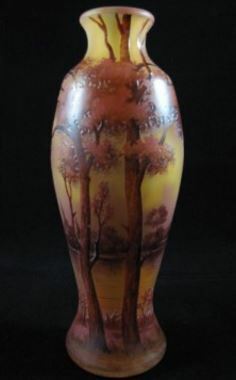 It is unusual to find such a striking piece over 30 cm tall in such excellent condition. 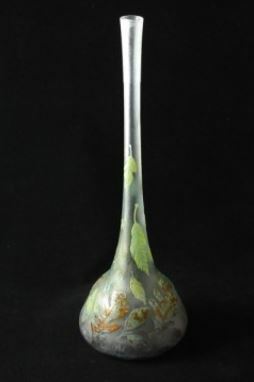 The Harrach glassworks is based in Harrachov, which is now in the CzechRepublic. It was established in 1630 and is still in production today. Harrach glass is rarely signed. 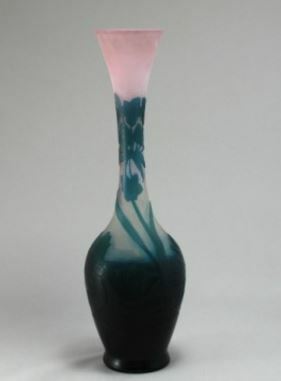 Harrach glass blanks were used by most of the major Bohemian glass houses during the 19th century, including (but not limited to) Moser, Fritz Heckert, J & L Lobmeyr, Josephinehutte, Egermann, Goldberg, Muhlhaus, etc. 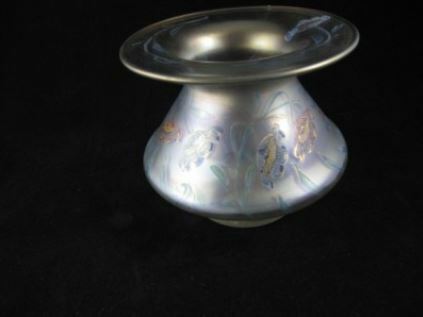 Harrach Glass is highly collectible and sought out from collectors worldwide. From their superb quality Biedermeir period glass, finely enameled, engraved and cut Victorian glass to their painted Art Nouveau work inspired by famous Czech artist Alfons Mucha, there is something that suits all tastes and interests. Condition Excellent original condition. A little light wear to the enamel in the top rim.